When you visit Preston Kia, our team is in your corner for every step of the car shopping process. From choosing the perfect new Kia vehicle at our Burton showroom to planning your financing, we’re always here to lend a hand. One topic that frequently gives our shoppers pause is the difference between leasing and buying a new vehicle, as well as the pros and cons of each option. Fortunately, our team is here to show you just how simple these options can be and to help you determine which is best for you! When you finance a Kia, you simply take out a loan to cover the remaining balance after you make your down payment. Depending on your down payment and interest rate, your monthly payment can vary significantly. We offer a Kia payment calculator at our Burton dealership to help shoppers factor these variables in. Financing a vehicle allows you to distribute your payments over a predetermined period of time. Just like buying it outright, though, you own your vehicle when the payments are completed. This makes financing ideal for shoppers who want to own their vehicle. If you like to carry out your own maintenance or customize your vehicle, or if you take pride in owning a vehicle, this might be the best option for you. This is ideal if you have a long commute, plan on keeping your vehicle long term, or want to work toward being free of car payments in the future. The key difference with leasing a vehicle is that we maintain ownership of it. You simply make payments (which are typically significantly lower than those associated with purchasing a vehicle) over a predetermined lease term to pay for the portion of the vehicle’s value you use, and enjoy a brand new vehicle for the length of your lease. When your lease is over, you return the vehicle to us. If you love being in a brand new vehicle, a lease is a great way to move into a new model every few years. Similarly, the tendency toward lower monthly payments can also allow you to get into a more luxurious vehicle than you might be able to afford otherwise. Do keep in mind, though, that excessive wear and tear or high mileage will be factored in and charged at the end of the lease. If you travel long distances or if you’re particularly hard on your vehicles, this might not be the way to go. Whichever option you choose, our team is always here to help you explore your options. We can also help you navigate getting a car loan with bad credit. 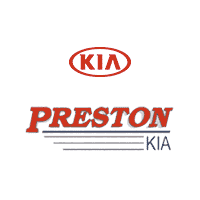 When you come see us at Preston Kia, we’re more than happy to discuss your particular situation to help you make the choice that suits you best. To learn more, don’t hesitate to contact us by calling (866) 368-5639 today.